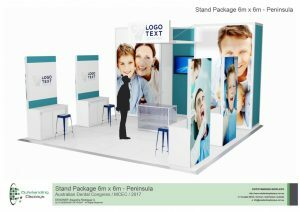 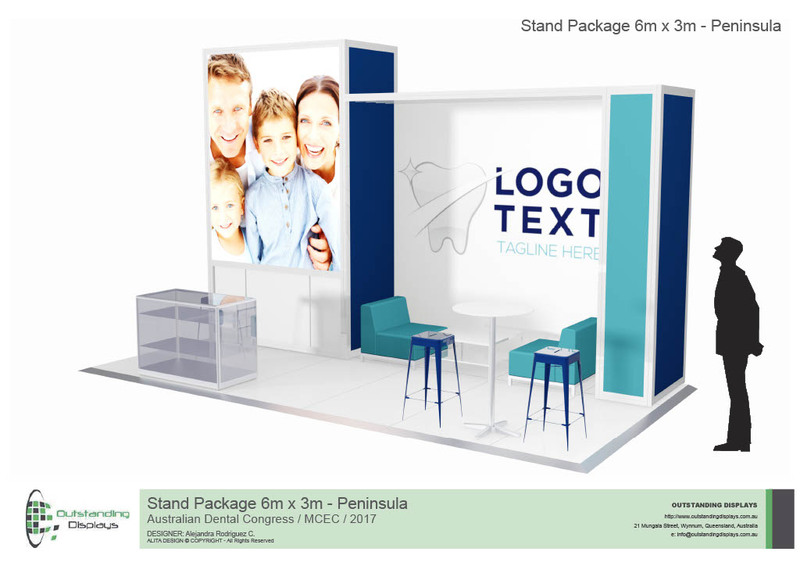 Stand out from the crowd with this 6m x 3m Peninsula stand. 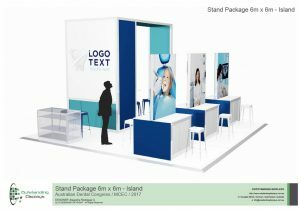 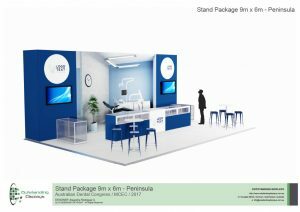 Client will own fabric signage post event. 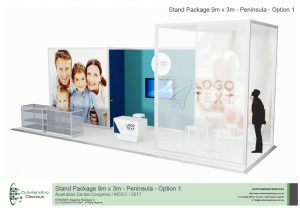 Freestanding or wall mounted LCD screen can be added to this design.